CASALF’s main objective for 2013 was to build on momentum and continue to work with local communities to plan and deliver a diverse and accessible film-inspired, multidisciplinary arts festival over 10 days in autumn half-term week from Fri 25 Oct to Sun 3 Nov 2013. A Short Film Competition for amateur and professional filmmakers of all ages and abilities. NO/WHERE FESTIVAL at The Atrium in North Walsham from 30 Oct-2 Nov.
Orchestra of the Age of Enlightenment Concert in Trunch in partnership with NNDC Arts Service and Orchestras Live. Green Screen Stories project to produce a community film made in a series of short “talking head” segments from all sectors of the Sheringham community. The Blue Balloon Film Project: A truly original 13 minute featurette by 3 local filmmakers – Eddie Anderson, Siri Taylor and Paul Watson – featuring John Hurt and more than 30 local volunteers. The above activities were hosted in more than 24 different locations in Cromer and Sheringham and their neighbouring towns and villages of Overstrand, Northrepps, Mundesley, Trunch, East Runton, North Walsham, Wiveton and Felbrigg. Venues include libraries, museums, galleries, churches, theatres, historic private homes/gardens, hotels, pubs, cafés, schools, shops, community centres and parish halls. We offered film-inspired exhibitions, workshops, participatory projects, concerts, sceenings, talks and discussions; and provided a range of opportunities for local residents and visitors to sample visual art and craft, sculpture, photography and film, poetry and literature, music and dance. Ticketed events attracted 1,300 customers, and visitors to exhibitions and other free events topped 11,700 so the total figure for live audiences is conservatively estimated at 13,000. Most events were appropriate for all ages and abilities but some were targeted at specific groups e.g. children, families and young adults. 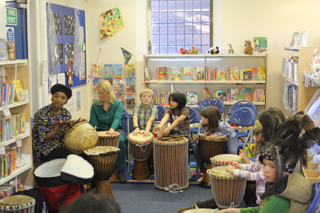 We also delivered 6 multi-cultural events in celebration of Norfolk Black History Month. 28 of the 54 events (52%) were free. Other concerts, films and live performances (all with higher costs) were priced between £2 and £12 with concessions for under 16s and family groups, and free entry to all film screenings for students. This was COAST’s fourth year. Existing partnerships were consolidated and several new collaborations emerged, most notably with The Atrium, Cromer Pier and BBC Voices, who are all keen to get involved in future projects. Whether as funders, supporters, venues or participants we worked with over 130 individual performers and artists and approx 70 public, private and voluntary sector organisations. More than 100 local people were involved as volunteers in the planning/delivery of COAST13 and its associated projects. To advance the education of the public in the subject of visual and performance art in all its forms including literature, film, theatre, music, sculpture, dance, painting, printmaking, photography, craft. To promote art for the benefit of the public by the establishment and maintenance of an arts festival. Embrace and showcase the unique character and distinctiveness of the area. Promote and celebrate the variety and quality of local talent and product. Address the rivalry between the towns and lay foundations for stronger relationships in the future. Engender a sense of community ownership & pride, creating a shared vision for the common good. Engage harder-to-reach communities in a positive way through consultation and involvement. Enhance our tourism offer so that visitors can enjoy the area beyond the traditional summer season. Broaden awareness of our cultural industries to strengthen support and encourage new audiences. Provide access to marketing opportunities that help participants to develop their potential market/s. Provide recreational activities and contemporary art in an area where opportunities are often lacking. Develop educational projects which celebrate local identity, traditions and heritage. Create new ways to support our artist population, enhancing the wider cultural life of the area. 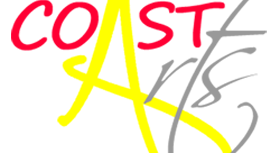 Local groups were consulted and involved throughout the development of COAST13. Bringing disparate elements of the local community together to tackle common needs and concerns remains at the very heart of the COAST festival which, taken as a whole, promotes and enhances the economic and community well being of the North Norfolk Coast, to support a better quality of life for everyone, now and for future generations. The diversity, accessibility and affordability of our events ensured that we provided the broadest possible range of opportunities for residents and visitors alike to get involved in creative experiences. The feedback from 2013 has been overwhelming; and it’s because of this and local expectations that we are determined to develop a model for a sustainable annual event. Our main financial objective in 2013 was to recoup losses and replenish reserves; and this, with huge input from volunteers and a professional fundraiser, was achieved. We worked hard, throughout the year, to try and reduce our reliance on grant aid by developing a broad programme of fundraising events and activities including: 2 quizzes, a Chilli Lunch, coffee morning, Bizarre Bazaar table-top sale, and raffle. The reputation and publicity of COAST, alongside early pledges from local charitable trusts and county, district and town councils, were invaluable in attracting local business sponsorship, in kind support and other grant aid. It is also important to note that the value of the project (when you consider the massive amount of volunteer time, free use of venues, in kind professional services and discounts) is in excess of £81,000 (an average of £1,500 per event). What a fantastic example of people working together to make something worthwhile happen against all odds. A full income and expenditure breakdown is available on request and the full COAST 2013 Evaluation Report can be downloaded here.